It was only last week we reported on the world’s youngest published author (Guinness Book of Records certified), a four year old in the Seychelles. This week we report on the world’s youngest published author (Guinness Book of Records certified) to write a bi-lingual book – in Singapore. 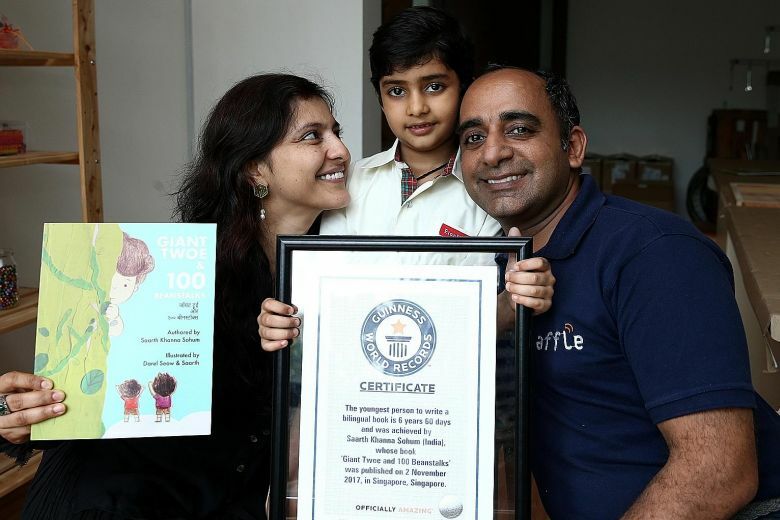 Singapore’s The Straits Times tells us of six year old Saarth Khanna Sohum, a second year kindergarten student, who wrote the book first in English, then translated it into Hindi. As one does. The story is a twist on the classic western fairy tale Jack and the Beanstalk, where two friends, Yuppy and Kuppyy, climb a giant beanstalk and befriend a lonely and distressed giant.